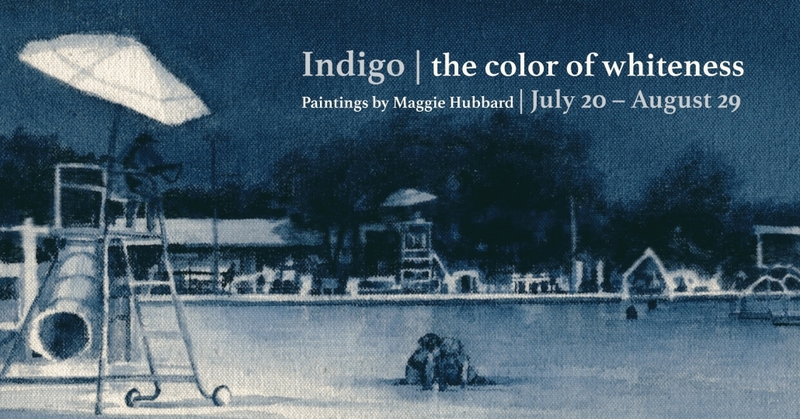 “Indigo | the color of whiteness”, a series of paintings by artist Maggie Hubbard, presents icons of the white middle class. These objects and scenes take on new meaning when solely depicted with indigo dye, an ancient pigment fraught with power, colonization, and slavery. Hubbard’s work asks two critical questions of our time: who is white and what does it mean to be white? “Indigo | the color of whiteness”, July 20 – August 29, will be on display at Everybody’s Coffee, 935 W. Wilson, Chicago. Indigo dye, historically a product associated with colonization and wealth, also worked as a way to express grief. Hubbard uses indigo dye almost as a blue lens of grief in order to re-vision and throw the mundane into contrast. An Opening Reception and artist dialogue with guests is scheduled for Friday, July 20. The show runs from July 20 – August 29. Everybody’s Coffee is located at 935. W. Wilson, Chicago.